It’s spring time and we made it through the first quarter of 2017! This is my favorite time of the year! The weather is getting nicer and I’m making the transition from treadmill miles to road miles. I attended the Road Runners Club of America National Convention in Detroit. I learned so much over the course of three days. I attended the running coach certification course during the convention. The instructors were very knowledgeable and I met some awesome runners from all over the US and abroad. Corktown Race in Detroit – This race was the same weekend as the convention. I did not run this race. 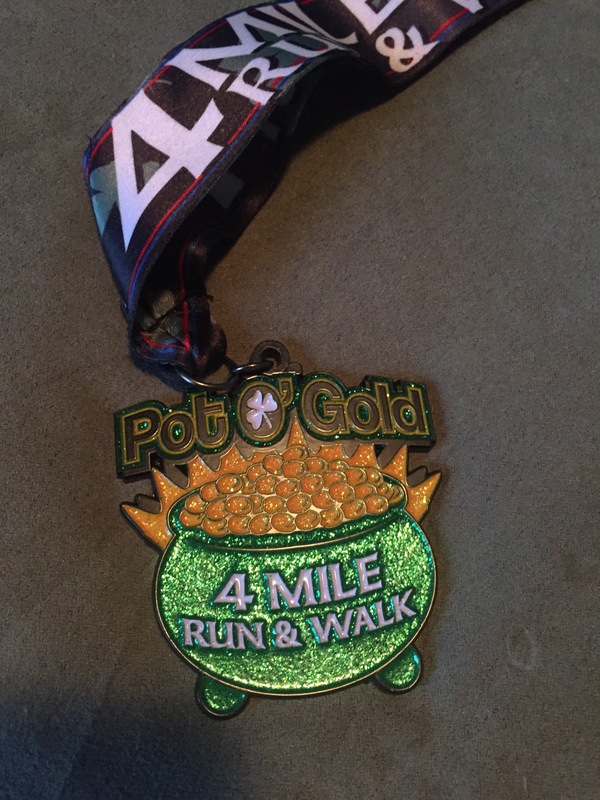 Pot of Gold 4 Mile Run in Flint – It snowed the entire race! I decided to take it easy and made it a fun run. I had a good time. Check out the cool medal.